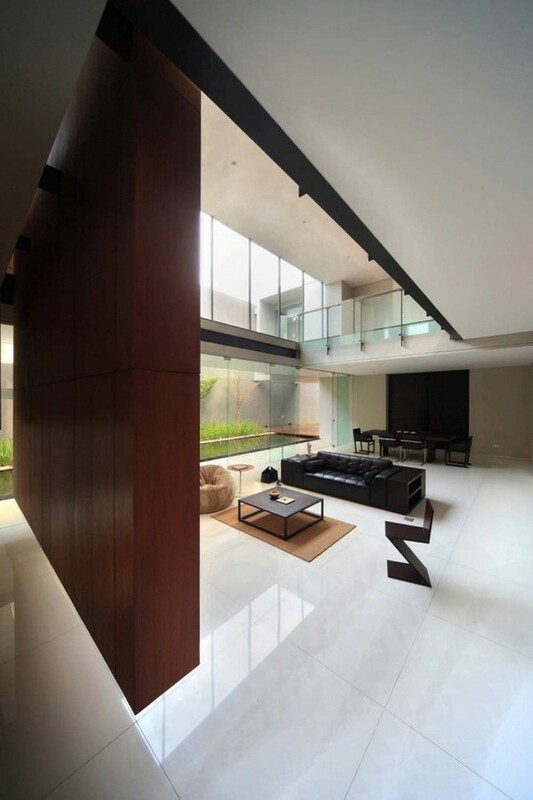 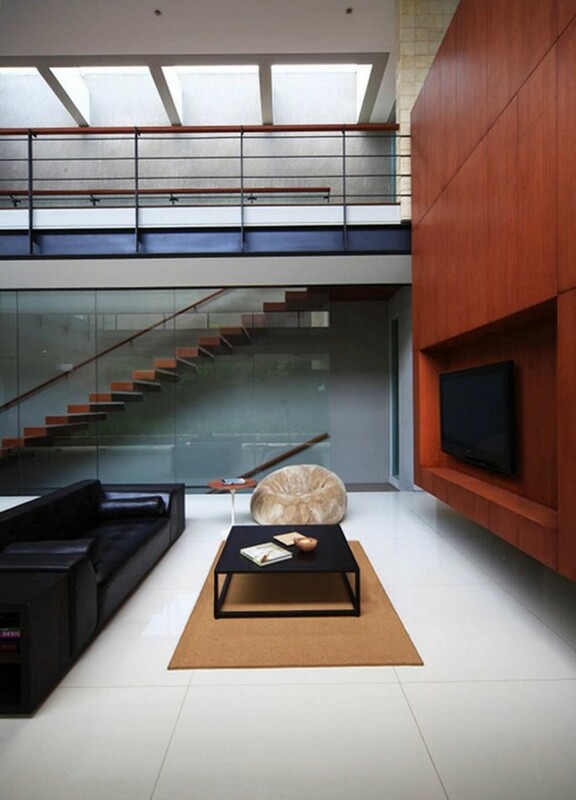 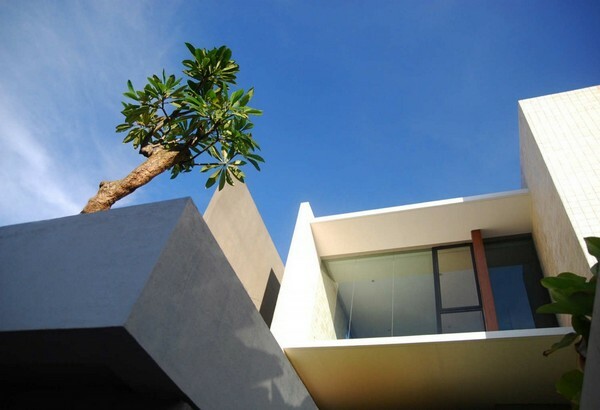 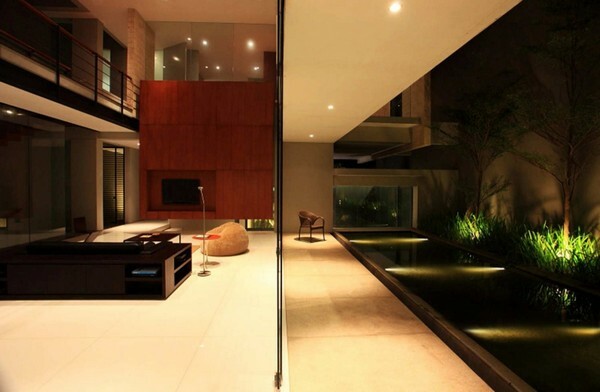 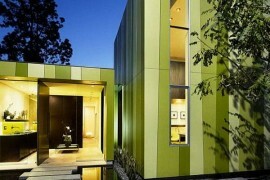 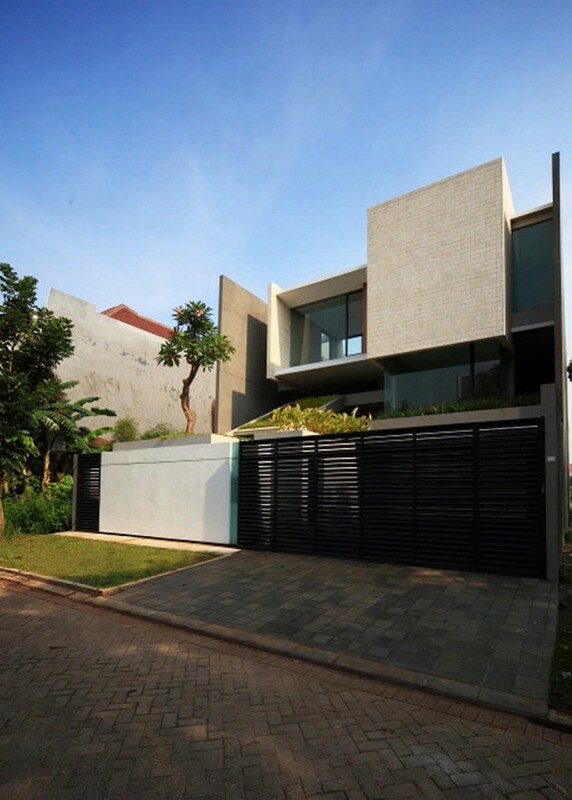 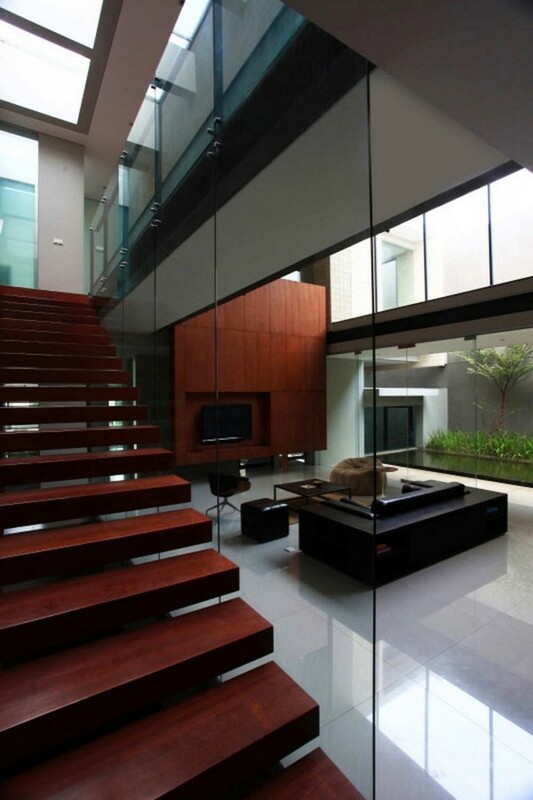 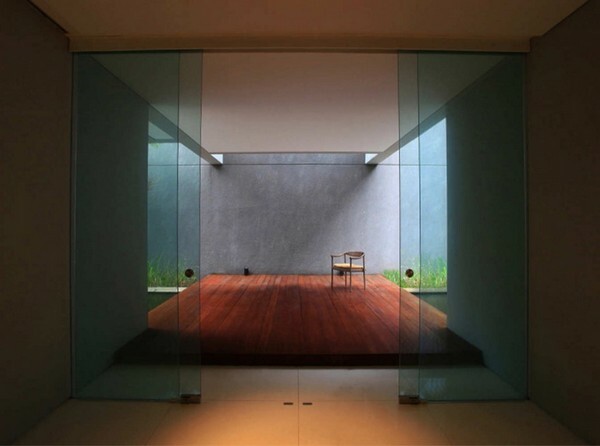 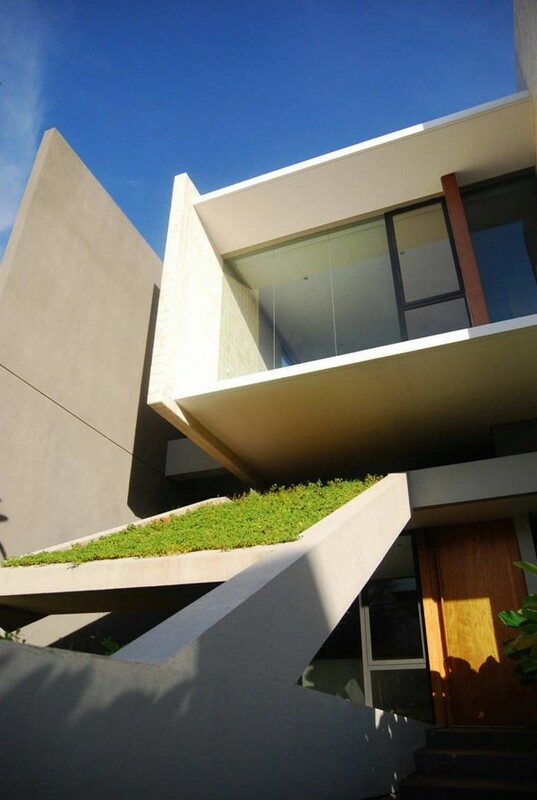 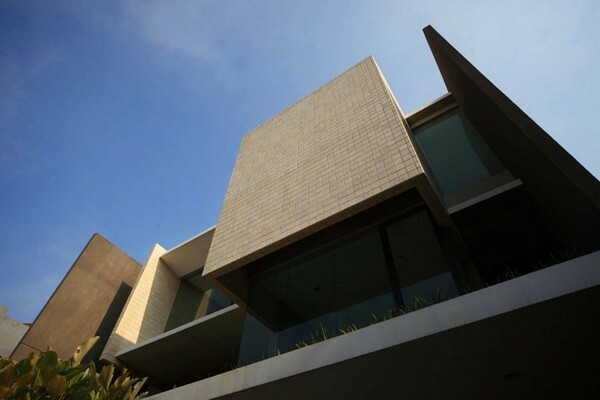 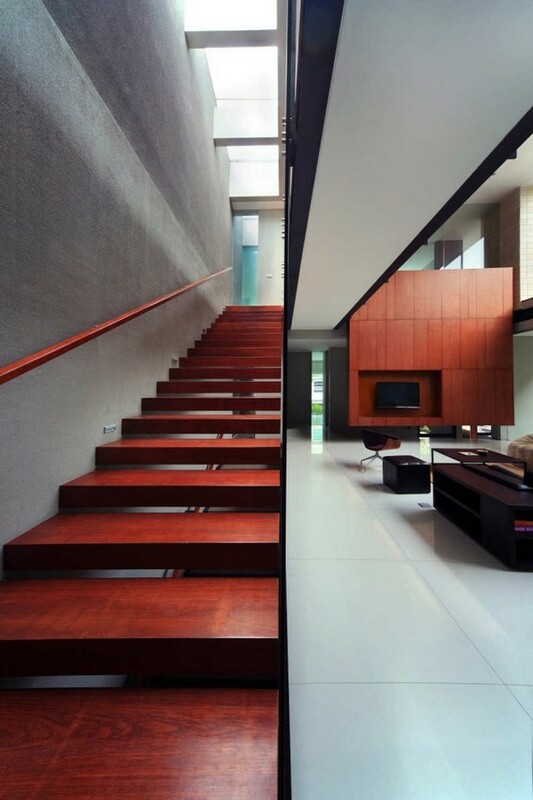 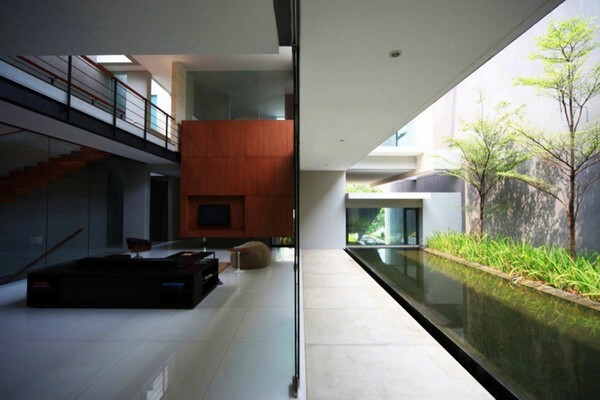 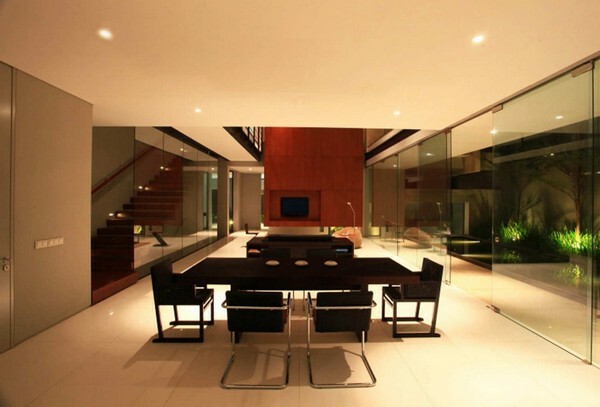 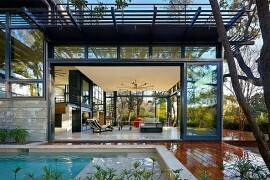 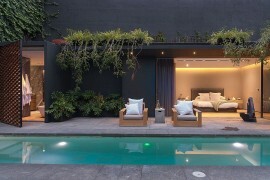 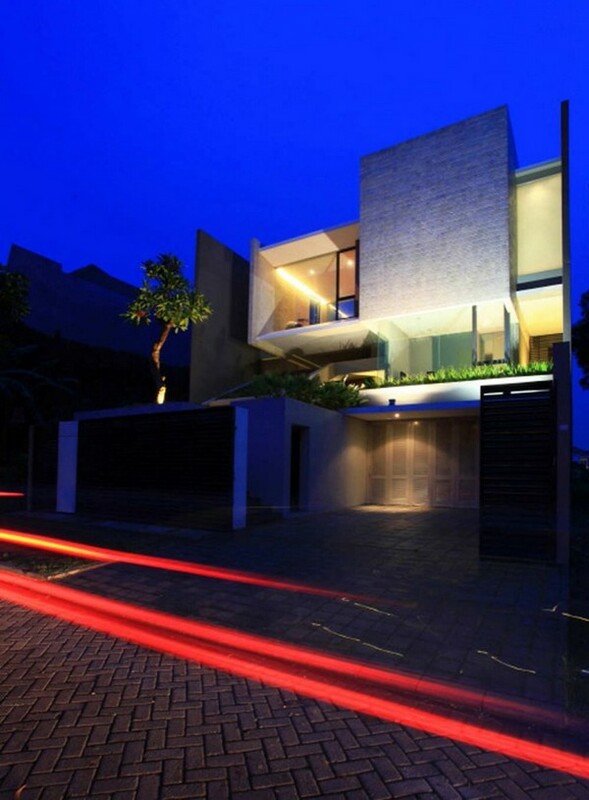 This lovely contemporary residence in Jakarta, Indonesia, was designed by Chrystalline Artchitect. 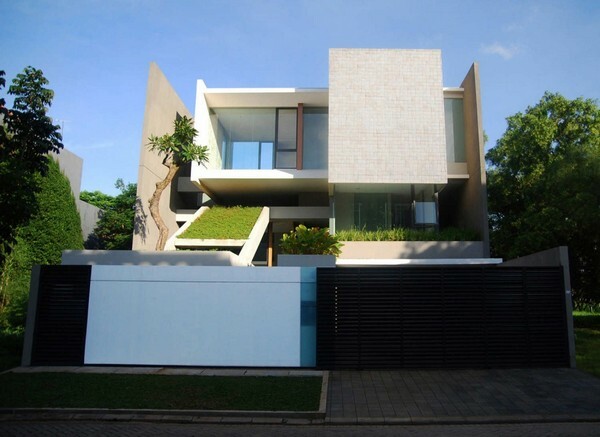 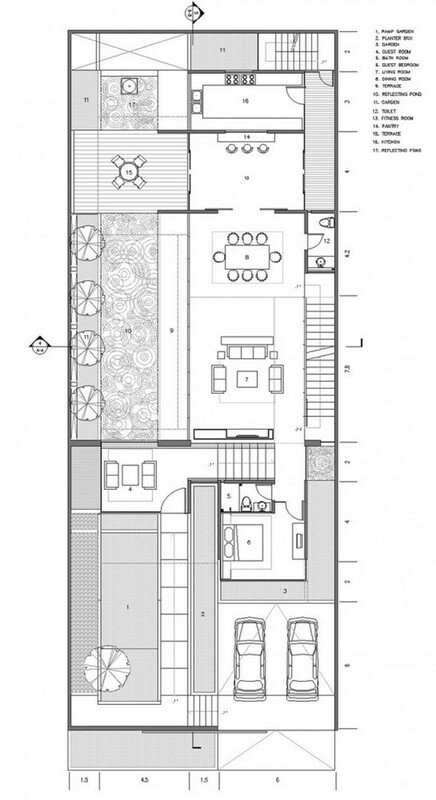 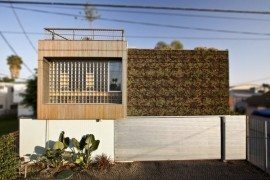 It is called the tan residence and reminds strongly of the Maximum Garden House by Formwerkz, through its minimalism, layout and ecological aspect. 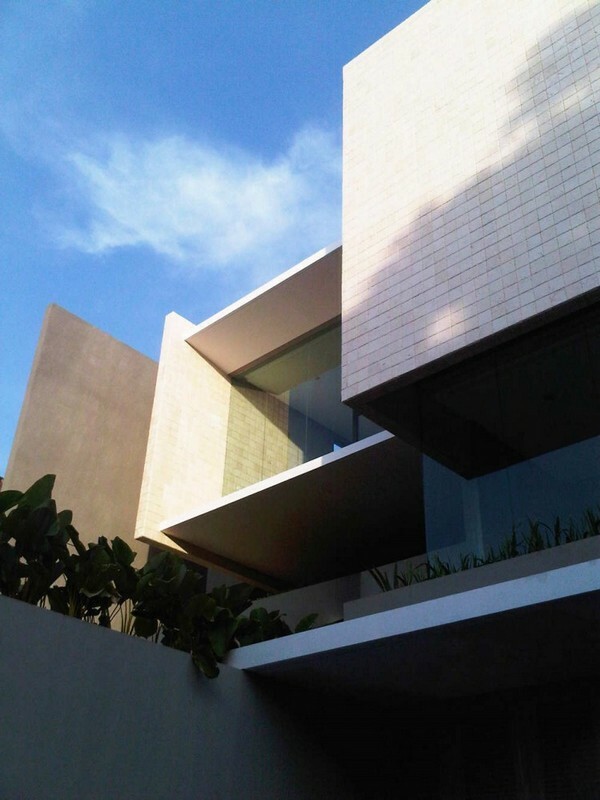 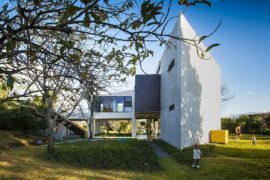 The open, well-lit and airy ‘white box’ type inspired residence turns an impressive facade toward the street, stacked volumes with slabs slightly staggered at the edges for a floating effect. 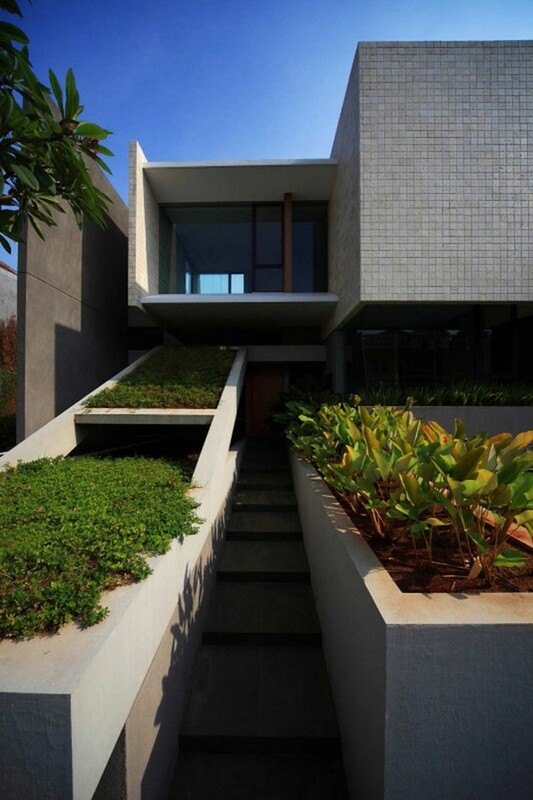 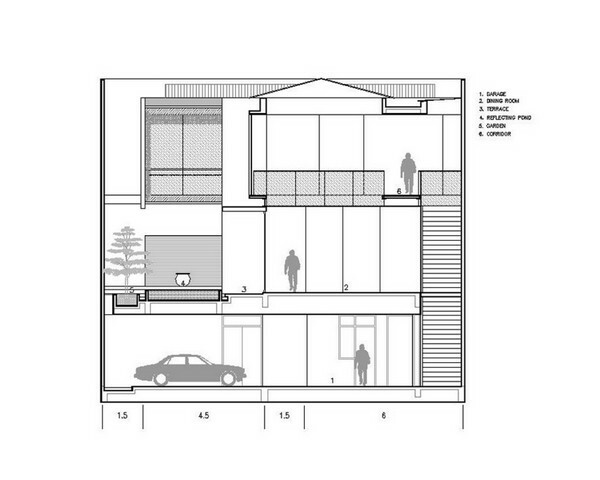 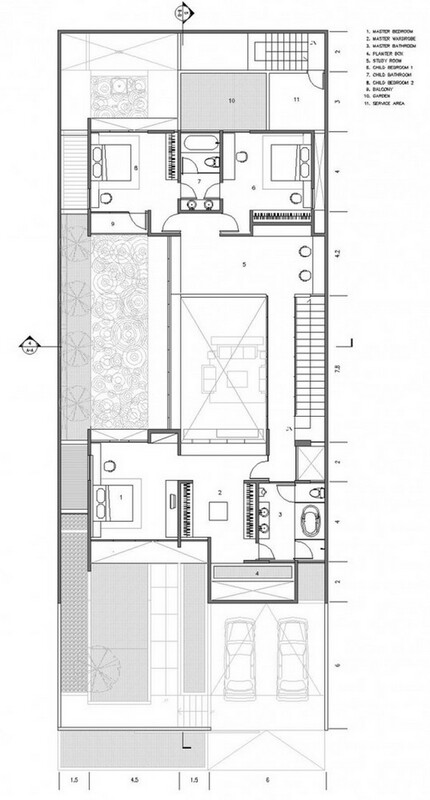 The focal point is constituted by the very intriguing landscaping, a green ramp that climbs toward the upper floor. 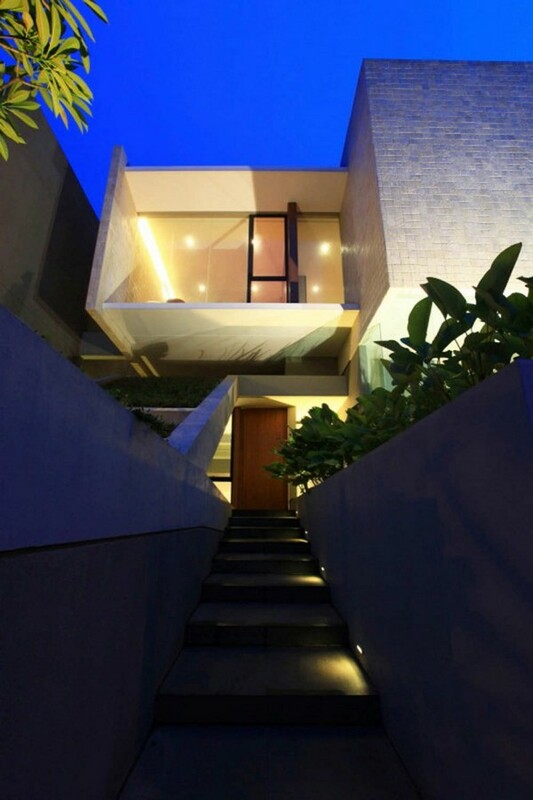 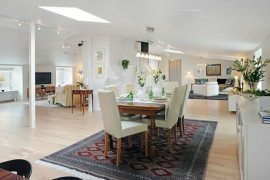 A connecting bridge on the first floor links the master bedroom, childrens’ bedroom and study room. 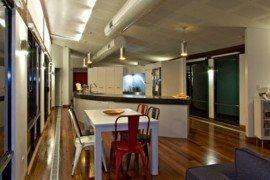 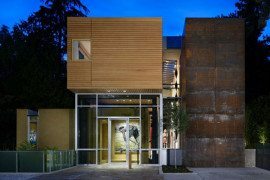 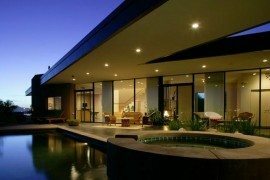 While the exterior finishes dominate with textured concrete, the interior spaces are vast, with simple finishes, sleek black leather furniture and the gorgeous accents of rich red wood.